A rumour that came in like a storm and surprised one and all might soon be turning into reality and shocking everyone around, as Manchester United seem set to sign their first major striker during the summer transfer window. The Red Devils have constantly been linked with Real Madrid’s Alvaro Morata in the weeks gone by, but as per latest astonishing claims coming in from Sky Sports, it is the striker from Merseyside, Romelu Lukaku, that has emerged as Jose Mourinho’s first choice attacker. Latest reports have mentioned that a sensational fee worth £75 million has been accepted by Ronald Koeman and Everton, thus implying that the Belgian forward could be arriving at Old Trafford anytime soon. The player is a prolific goal scorer, as he proved last season by finishing as the runner up in the golden boot race, after netting the ball 25 times in the Premier League. The deal is understood to be taking place rapidly, as Mourinho is eager to add the big striker to his team before they leave for the US tour on Saturday. Departing captain Wayne Rooney is also assumed to be a part of the negotiation, as he eyes a return to his boyhood club in the summer. 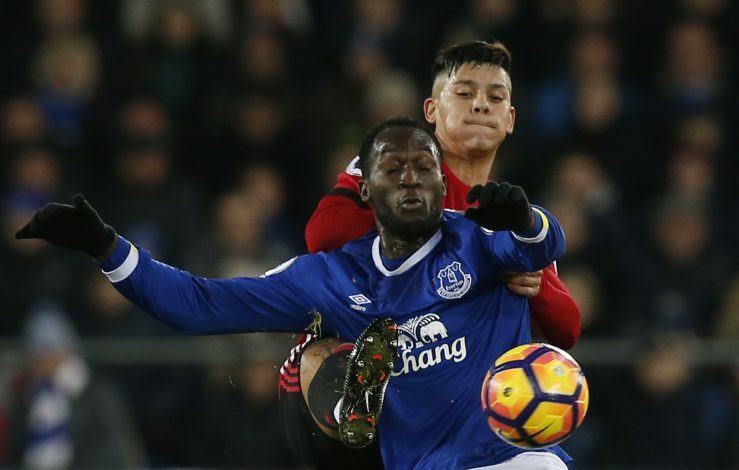 Fans can be confident of the move as the agent of Lukaku is Mino Raiola, who is also the man that represents Zlatan Ibrahimovic, Henrikh Mkhitaryan, and Paul Pogba – all being signings for Manchester United last summer. If the Belgian does arrive, it will mean curtains on the pursuit of Alvaro Morata, and with the number 9 slot empty, Lukaku will most likely get it to his name.